Bug opened door for malicious link attack, giving hacker access to stored DJI drone data of commercial and consumer customers. Leading commercial drone maker DJI patched a cross-site scripting bug impacting its forums that could have allowed a hacker to hijack user accounts and gain access to sensitive online data, ranging from flight images, bank card data, flight records and even real time camera images. 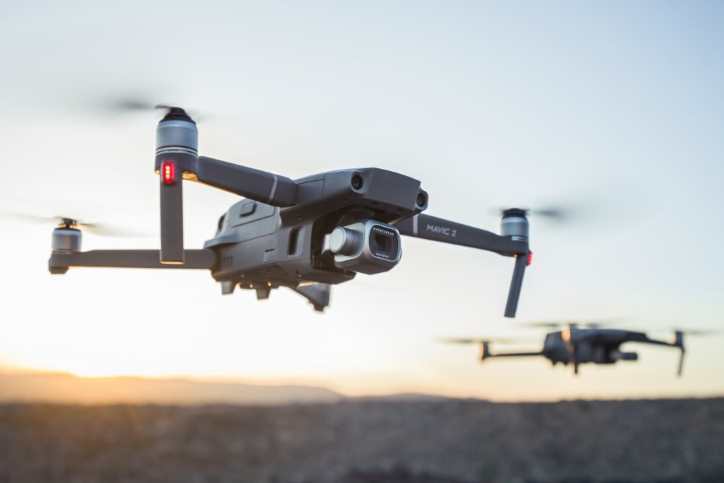 The vulnerability is significant given DJI’s estimated 70 percent market share of the commercial and consumer market, according to IDC researchers. “Sectors ranging for energy, government and public safety could potentially have their entire drone programs exposed,” said Oded Vanunu, head of products vulnerability research at Check Point Software Technologies in an interview. 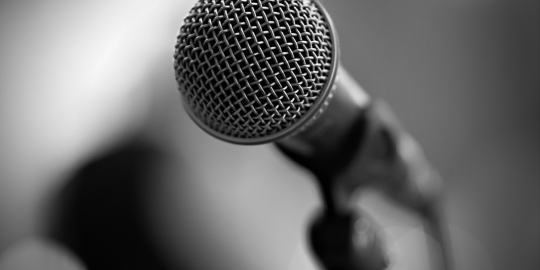 Check Point publicly disclosed the bug Thursday. Researchers said they found the flaw in March. DJI said it fixed the forum vulnerability in September. 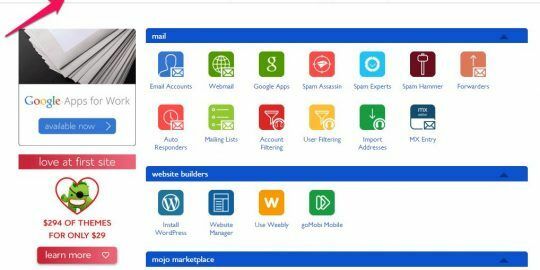 Affected are DJI’s Web Platform, the DJI GO/4/pilot Mobile Application and its centralized drone operations management platform called DJI Flighthub. “By exploiting a loophole in DJI’s customer identification process, then, our research team was able to hijack a user’s account and take complete control over any one of these cloud-based platforms and the data stored there,” according to researchers. In all, Check Point identified three vulnerabilities in the DJI identification process used by its DJI Forum, accessible to over 100,000 drone users, according to researchers. 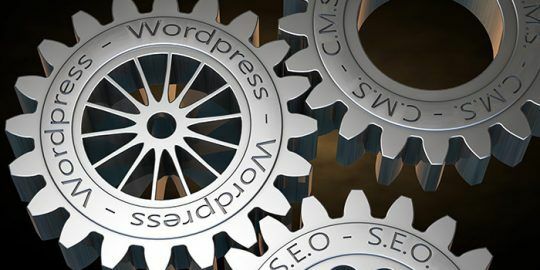 The vulnerabilities include XSS, a Secure Cookie bug and a Certificate Pinning flaw. Together they allowed for a hacker to malicious plant links in DJI forum posts that deliver the malicious payload. “DJI uses a cookie that the attacker can obtain to identify a user and create tokens, or tickets, to access their platforms. Through the use of this cookie, an attacker is able to simply hijack any user’s account and take complete control over any of the user’s DJI Mobile Apps, Web Account or DJI FlightHub account,” according to a technical write-up describing the vulnerability posted Thursday. 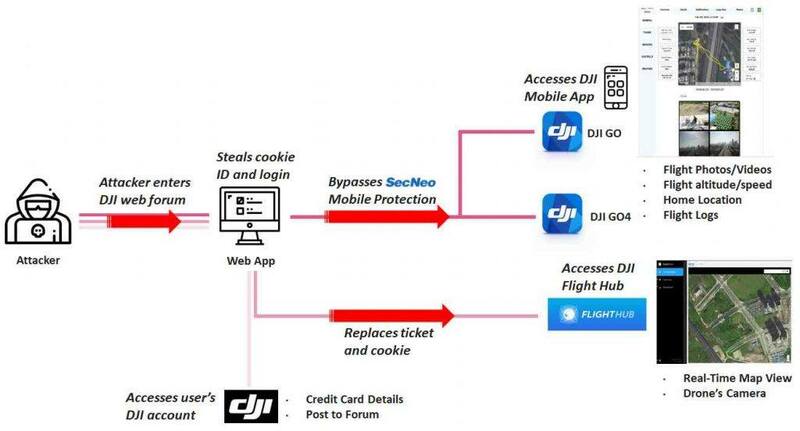 Lastly, a misconfiguration of the security mechanism Certificate Pinning allows the attacker to use the same authentication token in the context of the DJI Mobile Apps. This could allow a successful adversary to not only hijack the user account, but also access real-time flight imagery and flight data. In a statement the China-based DJI acknowledged the flaw stating the vulnerability was “high risk” with a “low probability” of execution by an adversary. “This is because the vulnerability required a complicated set of preconditions to be successfully exploited: The user would have to be logged into their DJI account while clicking on a specially-planted malicious link in the DJI Forum,” according to the DJI statement. DJI said there is no indication that the vulnerability was exploited in the wild. One bug accidentally allowed Google to index user passwords. The Threatpost editors break down the top news stories from this week.